Natural Gas Pipeline Installation - R&R Pipeline Inc. Installing Natural gas pipeline systems can be a major undertaking, but R&R Pipeline is equipped with the innovation, capabilities, and resources to meet any demand. Our crews have been a part of natural gas pipeline construction jobs all across Ohio, West Virginia and Pennsylvania. We have laid thousands of miles of pipeline through some of its most challenging terrain. We have the expertise to safely complete any project while maintaining complete environmental compliance and minimizing impact to land owners. 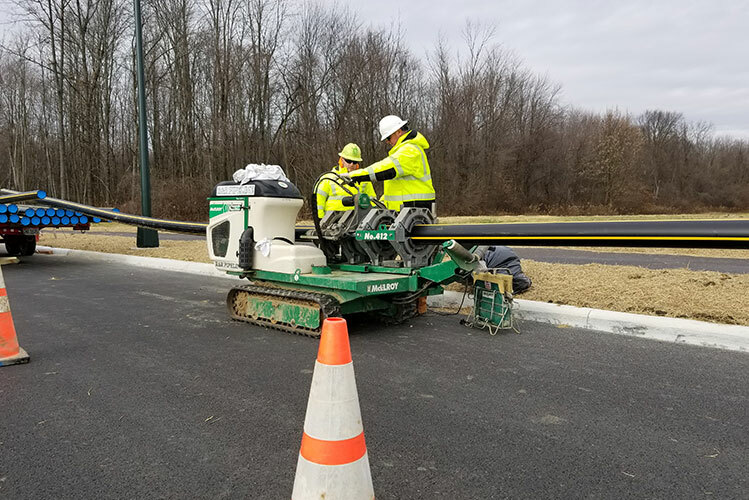 R & R Pipeline specializes in the installation and repair of natural gas distribution, gathering and transmission pipelines, 2 inch to 12 inch, plastic or steel. Our company also constructs related facilities such as metering, regulating and compressor stations. Want more information about natural gas pipeline systems?